All Free Debt Collection Letters on this page are yours to use for your personal or business affairs. You may customize them to your specific needs as they are very flexible and easy to change. Printout these free Letters in just minutes. The reasons are many why customers refuse or are unable to pay. Because of that, customers who owe you money need to be treated on an individual basis. There is simply no such thing as a standard collection letter. These brief and to the point letters address the customer's problems from different angles. These letters will also provide a foundation that you can build from if have more detailed needs and are very easy to edit. For your convenience we have also included some standard credit related letters in this section. Although not an end-all solution, these business letters can be a real time-saver when trying to get started or when you need to contact customers or business associates on other issues. If debt collectors violate the Fair Debt Collection Practices Act, consumers might be able to sue for actual and punitive damages. The Fair Debt Collection Practices Law prohibits a debt collector from showing what you owe to anyone but your attorney, harassing or threatening you, using false statements, giving false information about you to anyone, and misrepresenting the legal status of your debts. Remember that under other federal laws to collect debts, creditors cannot seize most government assistance and can only garnish a portion of wages to collect debts. A debt collection letter for your accounts receivable or if you simply are trying to collect money for personal or other business reasons. These letters will help you communicate quickly and efficiently with your customers and creditors. The Fair Debt Collection Practices Act promotes the fair treatment of consumers by prohibiting debt collectors from using unfair, deceptive, or abusive practices. This act applies to professional debt collectors who collect on loans they did not originate. Though it technically does not apply to banks, department stores, and other lenders who collect their own debts, no reputable lender is permitted to use such practices. Debt collectors are permitted to contact people other than the debtor only to locate the debtor or make a reasonable effort to communicate with the debtor about the debt. 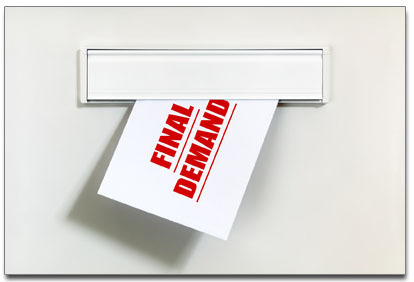 After making contact, debt collectors are required to send a written collection letter informing the debtor of the amount of the debt, the name of the creditor, and the fact that the debt will be considered valid unless disputed within 30 days. Debt collectors are prohibited from harassing, oppressing, or being abusive in collecting a debt. This includes using threats or obscene language, publicizing the debt, making annoying or anonymous telephone calls, and misrepresenting the identity of the collector, the status of the debt, and the consequences if it is not paid. If debt collectors violate certain debt collection laws, consumers can sue for actual and punitive damages. Debt collections can be a very challenging task and sometimes collection letters will not be enough. If you have complicated circumstances or have large amounts of money owed to you, it might pay to consider hiring a professional to assist you. An attorney or a collection agency is always an excellent choice.